I wish I could photograph every wedding in this light and once in a while I do get the chance. At Chris and Linda's outdoor wedding I had just a few minutes before the dancing in the sunset light. Their wedding was held outside Västerås in the middle of July and it was really something unique and wonderful. 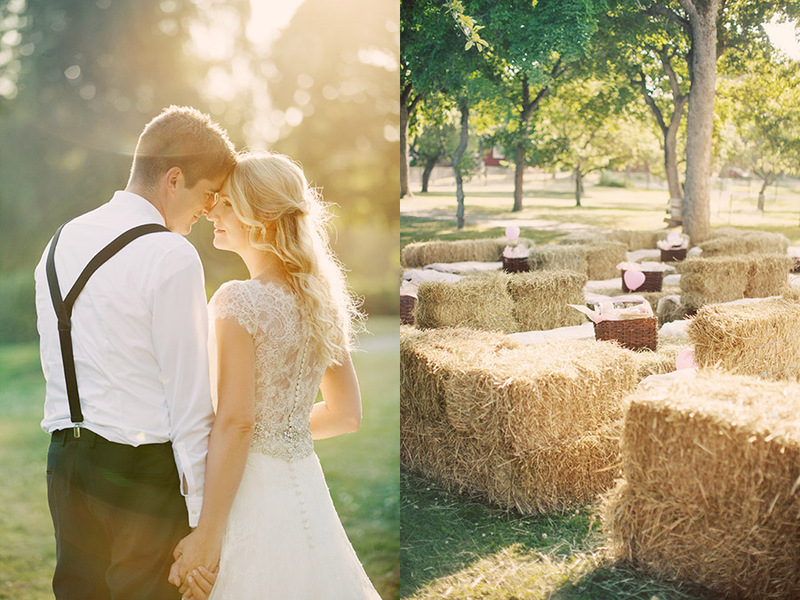 The ceremony was held among the apple trees and the dinner was served on hay bales. Some more photos from this countryside wedding will be up soon! Here is another photo from their day.